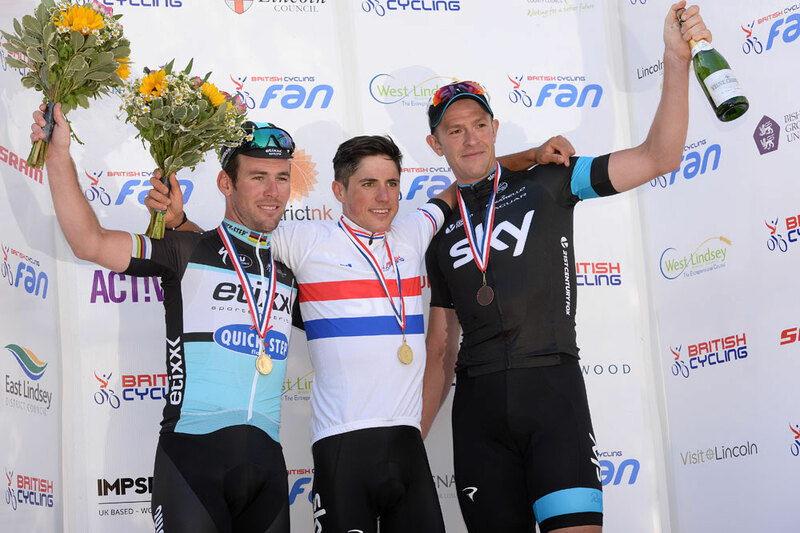 Peter Kennaugh (Team Sky) successfully defended his British national road title in Lincoln on Sunday, racing ahead of Mark Cavendish (Etixx – Quick-Step) on the final climb of Michaelgate to the finish line. The 26-year-old is only the third man in history to take back-to-back British national road race titles, with Roger Hammond last completing the feat in 2003/04. Kennaugh and his Sky teammates had dominated proceedings for almost the entire day, driving on the front early in the race to significantly reduce the numbers, before increasing the pace again when the race hit the 12.8km Lincoln Grand Prix town circuit. Stannard and Kennaugh then attacked with well over 80km to go in the 197.6km race, and quickly drew out a lead of over 30 seconds over chasers Cavendish, Adam Blythe (Orica-GreenEdge) and Scott Thwaites (Bora-Argon18). Rowe did nothing to help the three other members of his group to chase down his teammates, and as Blythe and Thwaites began to tire, 2013 champion Cavendish broke away and started to break the Sky pair’s lead down with Rowe on his wheel. The Welshman then began to work to get back to Kennaugh and Stannard on the seventh of nine ascents of the cobbled Michaelgate climb and with one-and-a-half laps to go, the four were back together. 2012 champion Stannard was the first to try to get away on a flat, straight part of the lap, but was quickly chased down by Rowe and Kennaugh with Cavendish following on. The Etixx man then made is move shortly after, creating enough of a gap that only Kennaugh could stick with him and it quickly became obvious it would be a race between the two as Rowe and Stannard were distanced. It was head-to-head between the two Manxmen up Michaelgate, but sprinter Cavendish was unable to stick with Kennaugh on the final part of the sharp climb, with last year’s winner rounding the final bend to cross the line with his hands in the air. Rowe and Stannard then battled it out shortly after for the bronze medal, with a tight squeeze on the final corner narrowly seeing Stannard cross the line ahead of a clearly frustrated Rowe. One of the pre-race favourites Simon Yates (Orica-GreenEdge) had missed the split between groups as Sky ramped things up early in the day, and quickly found himself out of the race as he attempted to chase on with Owain Doull (Team Wiggins). 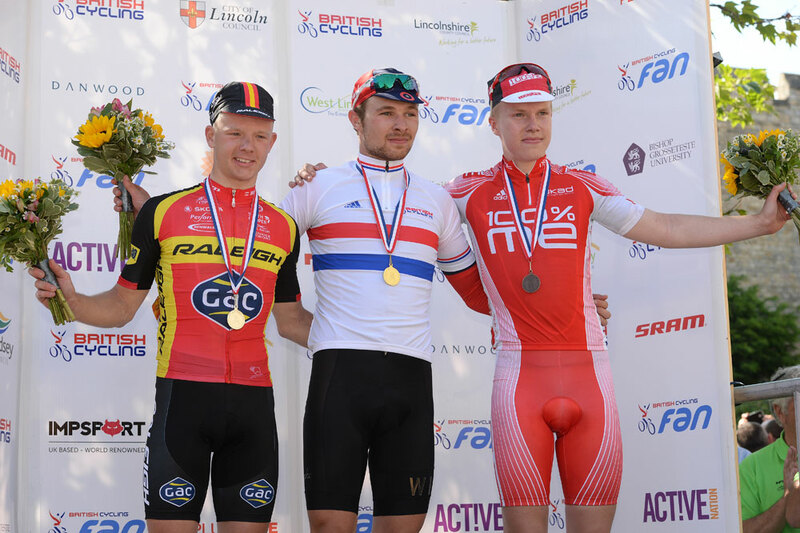 Both were in contention for the U23 title, but Doull got the better of Yates and rode in solo to take the U23 title.